Located in Western Australia, Kalbarri National Park was established in 1963 and encompasses over 706 square miles. It features over 800 species of wildflower and roughly 200 animal species. Kalbarri National Park has approximately 330,000 visitors annually. Popular activities for visitors include sightseeing, boating, fishing, and bushwalking. 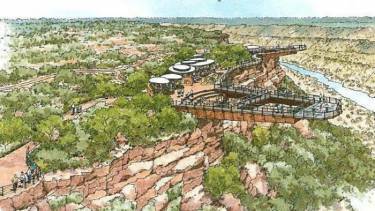 In 2015, plans were announced to build two skywalks that overlooks the Murchison River gorges. 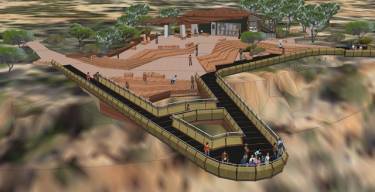 Both skywalks will extend over 39 and 65 feet past the gorge rim, respectively. Portland Bolt was provided some of the fasteners for this project. The plans specified F3125 Grade A325 structural bolts, A563DH3 heavy hex nuts, as well as custom A588 washers. Portland Bolt was able to work with the contractor’s schedule to ship everything in a timely manner. This order was shipped on international pallets that also meets ISPM requirements. In 2018, Portland Bolt shipped to 40 different countries. Whether you have a domestic or international project, Portland Bolt can rise to the challenge and meet your requirements. Give us a call today to see what we can do for you.